With Love from Lohr: The magical Black Forests!! Our New Year kickstarted off on the right note. As mentioned in my previous post, an impromptu holiday to the Schwarzwald or the world famous Black Forests of Deutschland. These forests are considered to be an all time favorite destination the whole year through. If you are looking for a magical drive at winter time, then this is the place. 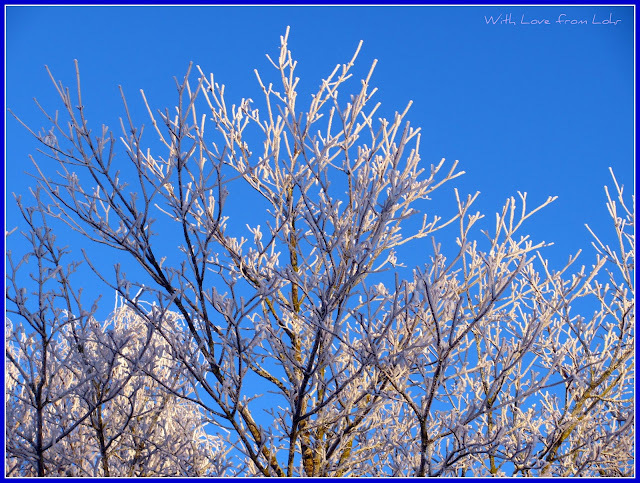 The trees along our drive looked like crystals. And with the setting sun, almost a magical sight. The name 'Schwarzwald' goes back to the Romans who referred to the thickly forested mountains there as Silver Nigra i.e. "Black Forest", because the dense growth of conifers in the forest blocked out most of the light inside the forest. I cherish these holidays which create beautiful memories for me, mainly knowing that I may never return to these destinations again!!! Magical indeed. 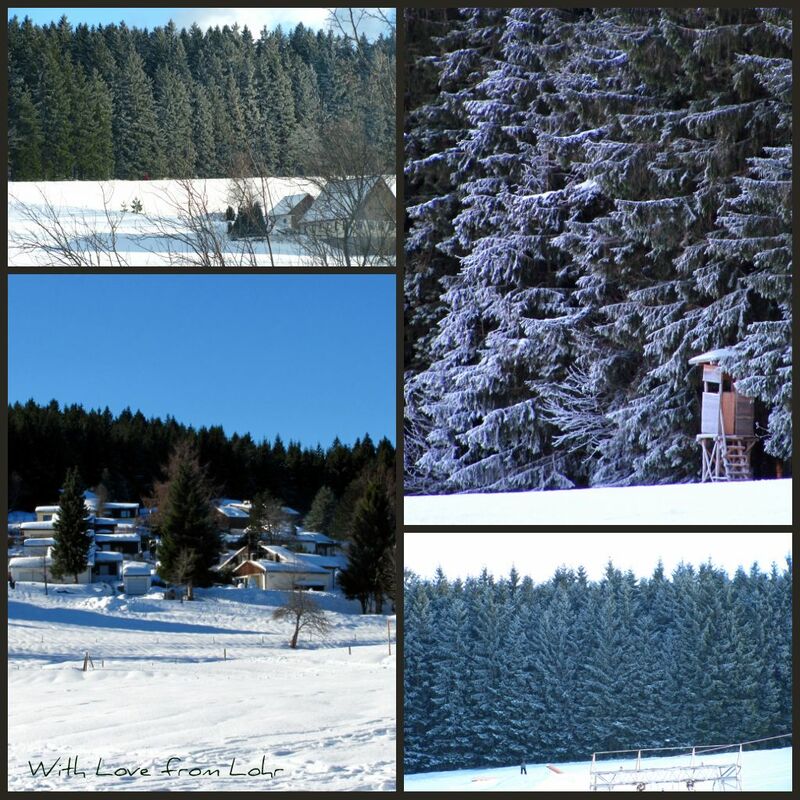 We've wanted to visit the Black Forest for a time now, but we haven't had the chance yet. Beautiful shots!! 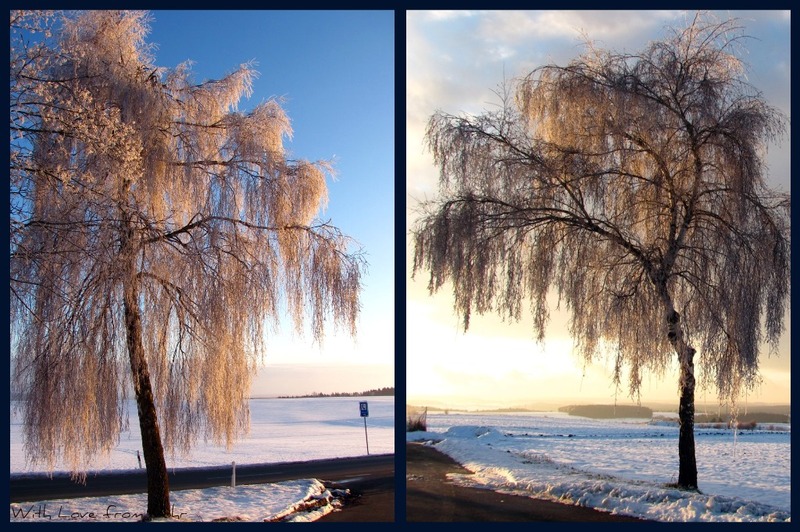 THe tree in the first pictures is fantastic! With as beautiful this post is....I think I need to find a beach blog to warm me up. We never made it there and I wish we had, looks beautiful!